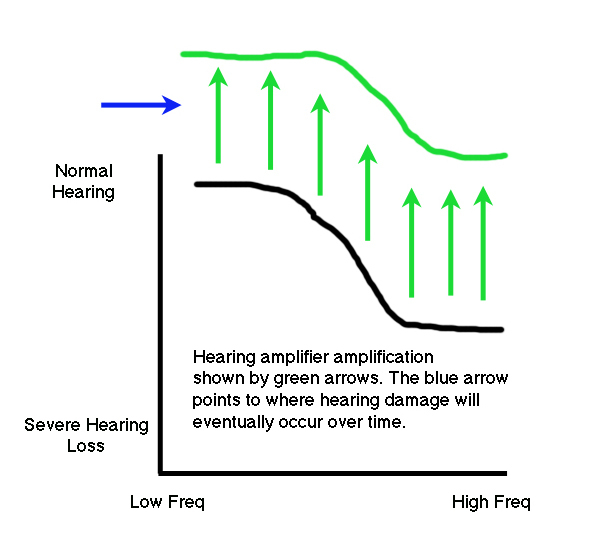 Home » versus » Hearing Aid versus Hearing Amplifier, What's the Difference? 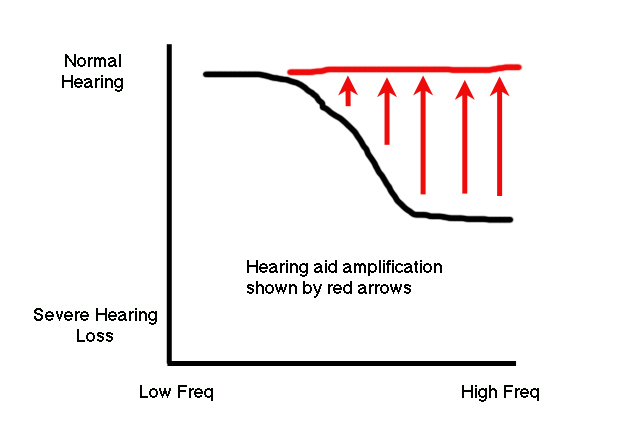 Hearing Aid versus Hearing Amplifier, What's the Difference? Can you tell if this is a hearing aid or amplifier? Hearing aids are expensive costing around $800+. Hearing amplifiers look exactly like hearing aids... except they are often under $50 and you can purchase them in a store like Amazon. So beyond the dramatic difference in price, what exactly is the difference between the two, especially since both do appear to help people with hearing loss, hear better? After all, both increase the volume of sound transmitted to the ear and they look almost identical. Per the FDA, hearing amplifiers are categorized as a "personal sound amplifier" and are NOT intended for use by people with hearing loss. 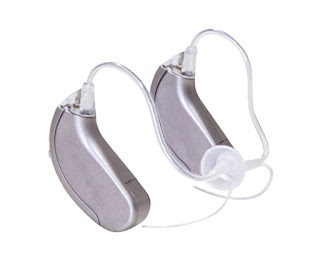 That said, many people with hearing loss find benefit from using a hearing amplifier. So why the fuss and concern? the volume of all frequencies. It's mainly because such amplification devices may actually cause even more hearing damage to someone who already has hearing loss. Bluntly, using a hearing amplifier is analogous to the teenager who is playing music too loudly on his headphones leading to hearing loss. Hearing amplifiers are essentially a volume knob on a music player or television. 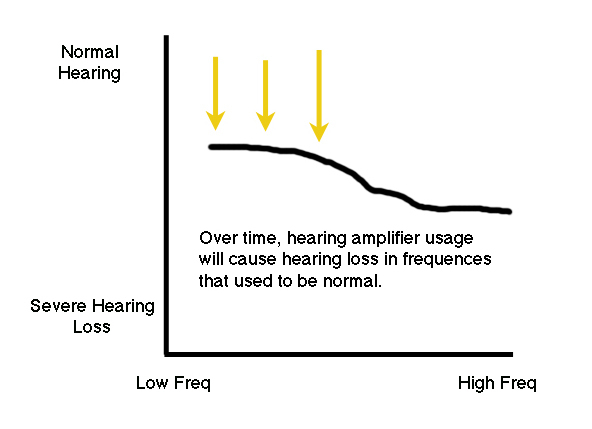 It increases the volume of all frequencies (Graph 1). only the frequencies where hearing loss is present. 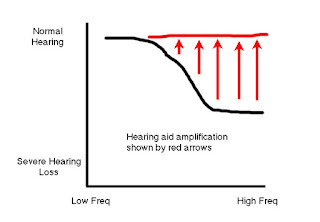 Hearing aids selectively amplify ONLY the frequencies where hearing loss is present (Graph 2). 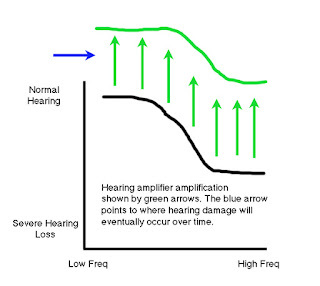 SO... if a person with hearing loss only in the high-frequencies uses a hearing amplifier, the patient may eventually suffer from permanent hearing loss not just in the high-frequencies... but also in the low and mid frequencies from loud-noise trauma caused BY the hearing amplifier (Graph 3). 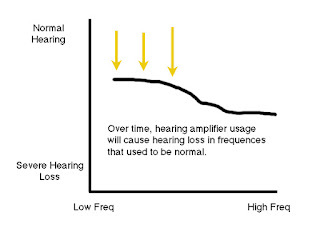 Use of a hearing aid would have avoided hearing damage in the low and mid frequencies because it would have amplified JUST the high-frequencies thereby preserving overall hearing health. So what should a person with hearing loss do? caused by a hearing amplifier. First, makes sure it is not a reversible type of hearing loss such as that found with eustachian tube dysfunction, earwax, otosclerosis, ear fluid, etc as well as brain tumor. Once medical causes of hearing loss are ruled-out, than discuss with your ENT or audiologist on the different types of hearing aids available. Read more about hearing aid costs here. Different types of hearing amplifiers can be found on Amazon as shown below. These are NOT hearing aids! Read more about such high-end amplifiers here.